HAITI – Students from a remote fishing village in Haiti have the unique opportunity to gain an outstanding education thanks to your support of Operation Blessing’s ENLA school. In addition to offering strong academic classes, ENLA provides an assortment of extracurricular activities to further challenge the students’ young minds and bodies, teaching important, life-changing skills. Over the past few months these programs have continued to expand and offer new and exciting opportunities for the students. In the area of martial arts, our Tang Soo Do after school program has grown in leaps and bounds this year. 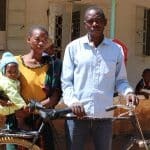 Although training began in November 2016, it got off to a slow start due to lack of equipment. But in summer 2017 the team received the supplies they needed to begin working towards their first belt test. Throughout their training the students gained focus, self-discipline, confidence, physical strength, and coordination. One year after the program began, the exam took place. All of the students involved excelled, receiving a certificate and their coveted yellow belts. These belts qualified them to take part in the Haiti Tang Soo Do national championships. 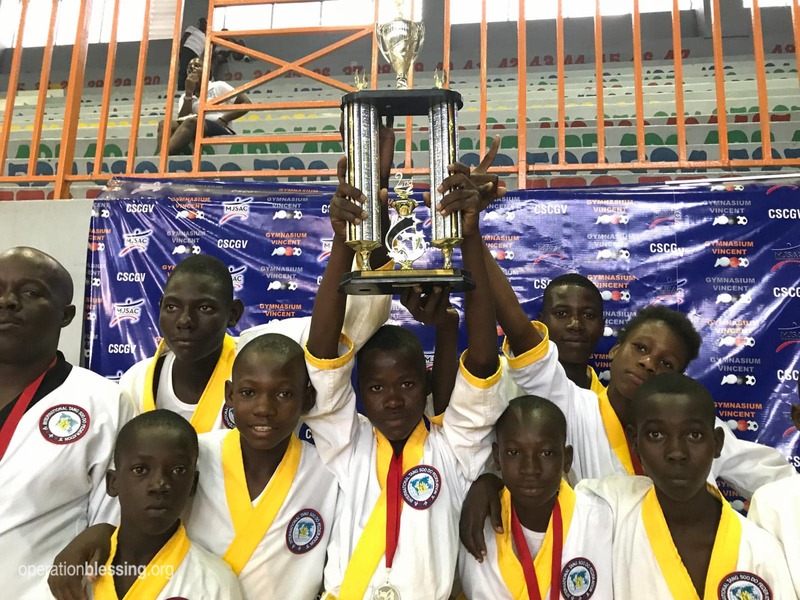 The team traveled to Port-au-Prince for the national event, which also celebrated the 15th anniversary of Haiti’s Tang Soo Do federation. There the ENLA students were warmly welcomed by the president and vice president of the federation into the Tang Soo Do family. They had no idea how they would fare at their first competition, but were excited to participate. In the end, they won two gold and two silver medals, and the coach won in his master category. As a team, they came in second, taking home a large trophy to commemorate their performance. The students did great, remaining calm and confident throughout this new challenge, and demonstrating the positive life-skills they’ve acquired throughout their martial arts training. 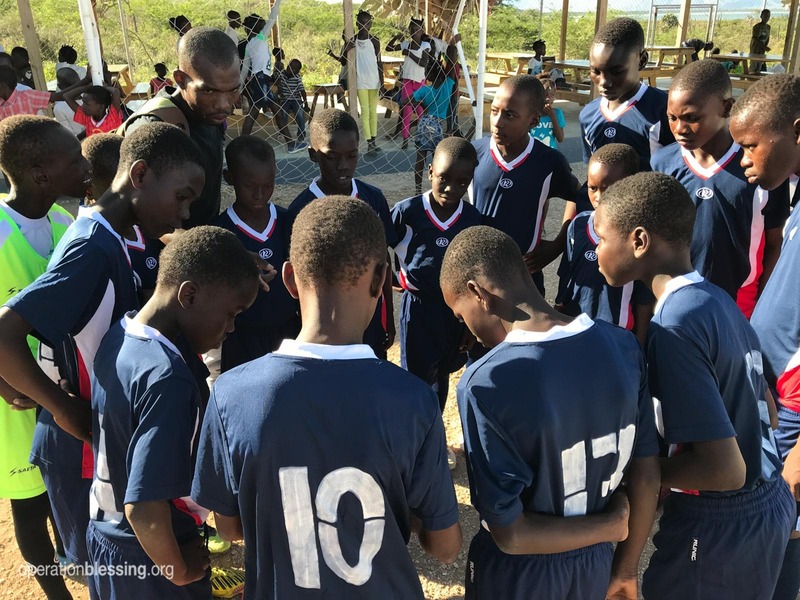 Operation Blessing’s extracurricular soccer program faced and overcame several challenges as well. They scheduled their first away game against a club called Don Bosco. 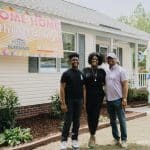 For some of the kids on the team it would be their first opportunity to leave their home town. The players didn’t have cleats or uniforms, but the coaches overcame that obstacle by borrowing the needed supplies. When they arrived to the game, they looked great, like a real team, but faced another challenge. The other team appeared much older and the players were bigger. The opposing coach apologized for the confusion. He had brought a team from an older age category. However, the ENLA team decided to go forward with the game and surprised everyone, including themselves, by tying the score 1-1. 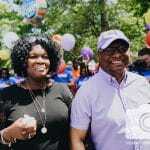 The team handled the pressure of the competition like champs, showing that they had learned the important skills of teamwork, determination, resilience, and excellence in the face of difficulties. In December they played a rematch soccer game against the Don Bosco team on their home field and tied again. The event included music, fun, and entertainment for the students who came out to support their team. For all the students at ENLA, including those who aren’t involved in Tang Soo Do or soccer, Wednesdays provide a highly anticipated opportunity to learn physical and life skills in PE class. The fishing community surrounding the school includes some very athletic girls and boys who love the chance to try a variety of sports. They do so under the instruction of their well-trained PE instructor, who also coaches an OBI baseball program nearby. 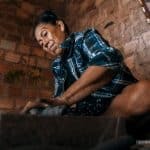 These classes will help provide excellent future candidates for the existing programs, and might well inspire new extracurricular activities too. On the less physical and more cerebral front, OBI’s ENLA school forms young minds through an after school chess program. Compared to the newer programs at the school, chess is now a well-established extracurricular activity. The chess team has had several highly competitive meets already this school year, and although they had two ties and one loss so far, the students continue to show progress in their skills. The chess program provides an amazing opportunity for kids to learn higher level thinking, logic, and strategizing, preparing their minds for future learning challenges. 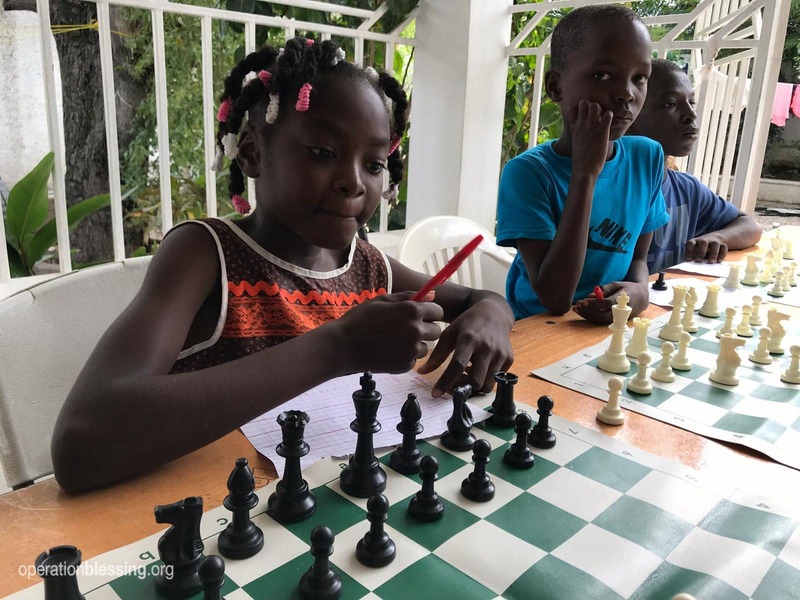 In fact, the ENLA chess team now includes a number of students who have graduated from ENLA’s primary program and now attend an upper school, for which they are given housing and scholarships by Operation Blessing partners. Including them on the chess team provides a great opportunity to reunite our current students with their old friends. During their home match against Nid Douillet, the ENLA students showed the opposing team the nearby Lake Azuéi and their village of Medan Belize. The school also served them local tilapia fish for lunch. Through this experience the chess team demonstrated good sportsmanship and expanded their horizons by interacting with students from a different area. For their last match of 2017, the president of the chess federation visited, and he found the ENLA students very impressive. In hopes of continuing to equip the students with the skills they’ll need to win upcoming matches, ENLA recently organized a chess camp for them to gain practice and acquire new strategies. 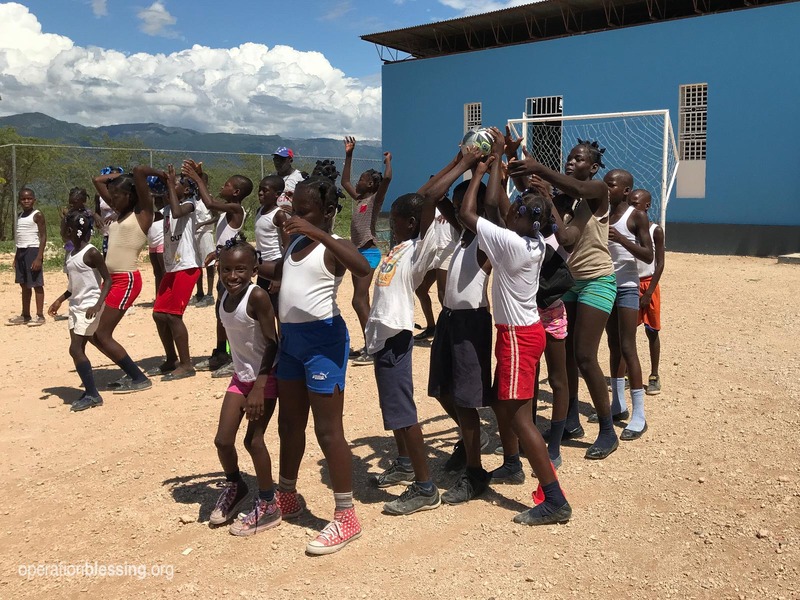 Thank you for your continued support of Operation Blessing, which allows us to bring these life-changing extracurricular opportunities to the children of Haiti. Tang Soo Do, soccer, and chess may or may not be a part of these students’ futures, but the life skills, confidence, and lessons they’ve learned through the programs will stay with them, producing positive results for the rest of their lives.